Leading banks are set to oppose the Reserve Bank of India (RBI) diktat that all new automated teller machines (ATMs) and point of sale (POS) machines should be tailored to accept Aadhaar — one of the widely publicised ventures aimed at winning votes and changing the lives of millions, reports Economic Times (ET). Even several activists, consumer and non-government organisations (NGOs) as well as Rajeev Chandrasekhar, an independent member of the Rajya Sabha also had opposed the RBI move over Aadhaar-enabled ATMs and PoS citing the huge cost involved. According to the ET report, last week, senior bankers went into a huddle to list out the pitfalls of the central bank's directive, which they think is being rushed through without understanding the implications for banks. "Why should we spend hundreds of crores in changing the network when the same thing can be achieved with existing technology?" a senior banker was quoted as saying in the report. On 3rd December, the payments committee under the banking lobby, Indian Banks' Association, met to discuss the matter which will soon be taken up with the regulator, the report says. The ET, quoting a panel member, said, "While RBI has said that banks may issue cards without the Aadhaar feature, the POS machines and ATMs have to be mandatorily Aadhaar-enabled. Now, if banks don't issue credit or debit cards that are enabled for Aadhaar acceptance, why should we procure new types of ATMs and POS for a handful of customers who prefer biometric readers for transactions?" Some of the bankers and service providers ET spoke to say their entire network has to be overhauled for the purpose. "Data on the magnetic strip of a credit/ debit card is transmitted through telephone lines. Biometric data will need high-speed connections and the bandwidth and capability has to be raised. Besides, in biometric mode, response time and rejects may be higher and transactions could take longer," a service provider told the financial daily. These were the points that came up when Moneylife Foundation hosted a round table in September 2013 with leading organisations such as All India Bank Employees Association (AIBEA), All India Bank Depositors Association (AIBDA), Council for Fair Business Practices (CFBP), V Citizens Action Network (V-CAN), Consumer Education and Research Centre, Ahmedabad 9CERC), India Against Corruption (IAC), Forum for Fast Justice (FFJ), Forum of Free Enterprise (FFE), Nagrik Chetana Manch (NCM), All India Business Council (AIBC) and Women Graduates Union, Mumbai (WGU), as well as concerned citizens to discuss the issue. The key issue was: Who will bear the huge technology cost that would be involved. The activists feared that the banking system was being used by the UIDAI (Unique Identification Authority of India) to create nationwide infrastructure of biometric readers and scanners at the cost of bank consumers. Further, UIDAI plans to charge a fee for each Aadhaar authentication, which would also have to be borne by consumers. Among the issues raised at the discussion was the fact that biometric-enabled ATMs had been launched with much fanfare between 2004 and 2007 but were an unmitigated disaster. Most participants felt that there ought to be a pilot project to justify the technology, safety as well as the bandwidth required for the UIDAI authentication, before such a big cost burden was imposed on the banking system. Media reports say that banks plan to add over 200,000 point of sale (POS) machines and around 20,000 ATM machines in the near future. In addition, the vast existing ATM network will also have to be made Aadhaar-enabled. This entails huge cost and, according to some experts, will force banks to divert resources from other projects. Banks are being lured to invest in the technology on the promise that direct benefits and subsidies will be routed through the banking system. But it is unclear whether the distribution of subsidies will earn any revenue for banks or only burden them with costs, which will be transferred to other customers. The memorandum said, “Public policy towards financial inclusion has to be devised diligently, keeping the stakes of the customers in mind and not coerce customers into accepting an unnecessary identification tool like the biometric system. It should ensure safe and secure transactions and aim at lowering banking costs. Consumers expect the RBI to follow the principles of good governance, transparency and accountability to the consumers.” An interesting aspect of the round table discussion was that consumer groups had the support of the largest bank employee unions, which also plans to oppose the huge expenditure plans from the inside. Rajeev Chandrasekhar, who is also a member of the Standing Committee on Finance, had requested Prime Minister Manmohan Singh to relook at the RBI's proposal on Aadhaar authenticated biometric ATMs. In the letter sent to the PM, finance minister P Chidambaram and chairman of Standing Committee on Finance, Mr Chandrasekhar wrote, "Public policy towards financial inclusion should be devised intelligently with objective of lower banking costs and increased access for consumers and not using ill-conceived, brute force methods involving significant additional spending and increase in costs to consumers and please make no mistake, these costs will be passed on by banks to consumers." 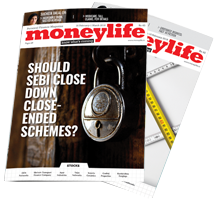 Moneylife has been pointing out that this new directive (from RBI) will involve additional expenses, which bank depositors will end up bearing under the guise of technology costs. So far, Aadhaar has made no mention of who will bear the cost of biometric POS readers (according to a senior banker, they will cost Rs8,000 each) and biometric ATMs (Rs4 lakh for the machine plus installation, maintenance, electricity, etc). Last month, the RBI advised banks to choose either EMV chip and PIN or Aadhaar’s biometric validation as additional factor for authentication and securing the card present payment infrastructure. However, several mainstream media reported that RBI has asked banks to adopt Aadhaar authentication only. However, the RBI has advised banks to keep their new card present infrastructure enabled to use both EMV chip and PIN and Aadhaar (biometric validation) acceptance. 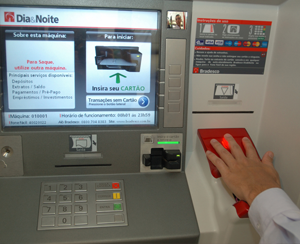 It may be noted that EMV cards are 'smart' cards that have an embedded chip while PIN authentication involves the card-holder to punch in a secret code on the card-swiping machine, for each transaction. Interestingly, about 90% of the existing POS terminals in the country, managed by 21 acquirers (among them Axis Bank, HDFC Bank and ICICI Bank), can accept EMV chip cards and PIN. However, following RBI directive banks will have to scrap the whole infrastructure and buy new one with biometric readers, which costs a bomb. The Government has informed Parliament that RBI has set aside its earlier decision of Aadhaar authentication using biometrics saying it is not mandatory upon Banks to adopt Aadhaar as additional factor of authentication. The RBI has now notified that Banks can continue with the EMV Chip and Pin technology for securing the card’s present payment infrastructure. The ministry said it is not expected that huge capital investment will ensue immediately to the banking system for this replacement. It is expected that enhanced benefits will largely compensate the expenditure incurred in putting this infrastructure in place, the ministry said. The ministry, however, said that RBI has already notified the Banks that in respect of cards, not specifically mandated by RBI to adopt EMV norms, Banks may take a decision whether they should adopt Aadhaar as additional factor of authentication, or move to EMV chip and PIN technology. Chandrasekhar had asked the ministry, and also raised the issue to RBI Governor Raghuram Rajan on October 10, whether government was proposing to direct all banks to absorb these increased cost of banking due to Aadhaar requirements, and not to pass these costs to consumers in order to safeguards their interests. Chandrasekhar said even earlier experiments with Aadhaar-based biometric ATMs during 2004 and 2007 had failed, as it proved to be a high-priced proposition for implementation. "While there is no denying that a stronger authentication mechanism to safeguard consumers’ interest is needed, such a proposal without adequate capital can result in a high cost burden for our banking system,” he said. "I have urged the Government to conduct adequate feasibility tests before taking a call on any Aadhaar programmes,” said Chandrasekhar. It is important that government reconsider the proposal in the interest of India and its people; weigh the outcome; examine the consequence, and then take a decision. Various Aadhaar programmes have already seen thousands of crores of taxpayers’ money being spent aimlessly without proper understanding of the issue, he said. "There is neither a parliamentary debate —or approval —nor any effort by the Government to have a public consultation in order to ascertain whether Aadhaar series of measure is beneficial to the nation. Aadhaar programme is being funded using public money, and needs to be reviewed immediately. The programme’s objectives should be clearly defined given the fact that Supreme Court order recently decided not to make subsidies conditional upon Aadhaar,” he said. "Besides, this widespread allocation of Aadhaar numbers is serving as an incentive to attract illegal immigration into the country due to the easy access to subsidies that the Aadhaar programme allows. Also Aadhaar programme requires citizens to give out personal information, which infringes upon their right of privacy and has the potential to be misused,” he said. First, pl. reforms voter id's , electoral rolls, where geniue id's are getting deleted and bogus voters are getting registered. EC is a case study, where it shows that we still belong to stone age. If a person shifts his house, EC simply deletes his id without his knowldege. Why delete, voter has just changed his house, he did't die. A change of address was suffecient. As Govt. to keep Democracy alive, by bring proper reforms in EC. This is obviously a sneak attack by Nilekani & Co. to bring the biometric agenda forward. If Nilekani is happy to subsidise, the banks may choose to offer it. But we as consumers must want CHOICE in the way we transact at the ATM. Biometric may be a hit and miss for many. 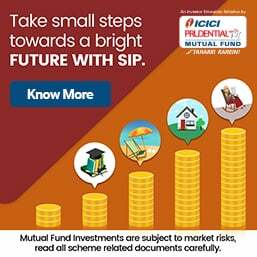 A fisherman from Andhra Pradesh might not have fingerprint grooves as ICICI Bank painfully discovered many many years ago when doing a scalable rural push using biometric technology which they weren't able to quite achieve. Good luck to the RBI & Nilekani & Co.